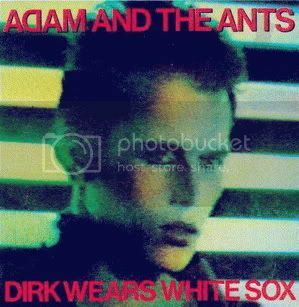 This is my jam today, from Dirk Wears White Socks, the only LP from the original Adam and the Ants lineup. This album is obviously a favorite of mine, where I got the name for this blog etc. So yeah, it's great, Mr. Ant is all like contemplating creation and religion and the crazy animals he sees at the zoo. "I could be religious - if they set the hymns to disco, like this..."